Original motherboard production BlackBerry. We guarantee the performance of all functions, as well as services BlackBerry, including the BIS. 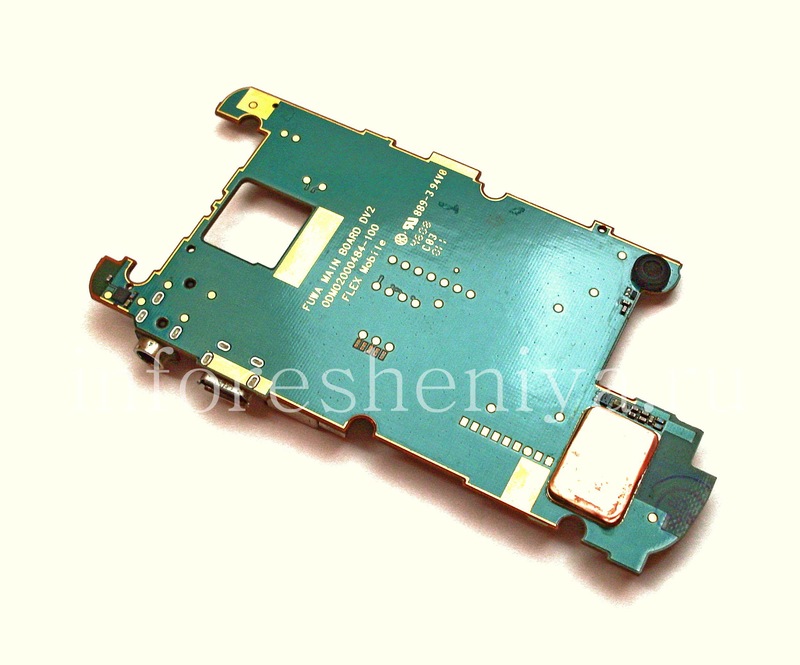 Smartphones BlackBerry 8220/8230 sometimes break, so that can not be repaired. In some cases, the cause is damage to the power supply circuit unoriginal chargers of poor quality, as a network, and charging in cars. After another charging the phone or do not "wake up" or red LED (LED). 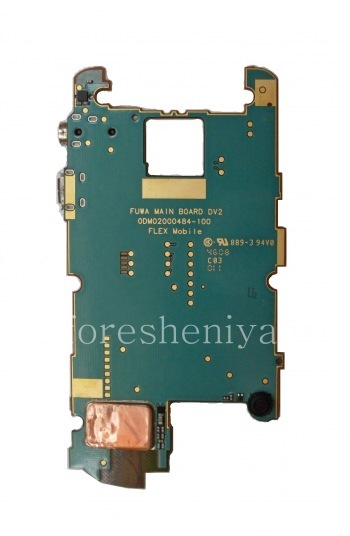 If you restore smartphone fails, the motherboard needs to be replaced. Motherboard BlackBerry 8220 Pearl Flip, without a doubt, is the major and most costly element of the smartphone. That it is also a computer center, and an integrating element — it is a printed circuit board with mounted CPU and GPU, RAM and Flash-memory controller power modules and chips GSM, Wi-Fi, Bluetooth, GPS, safely hidden under compound. 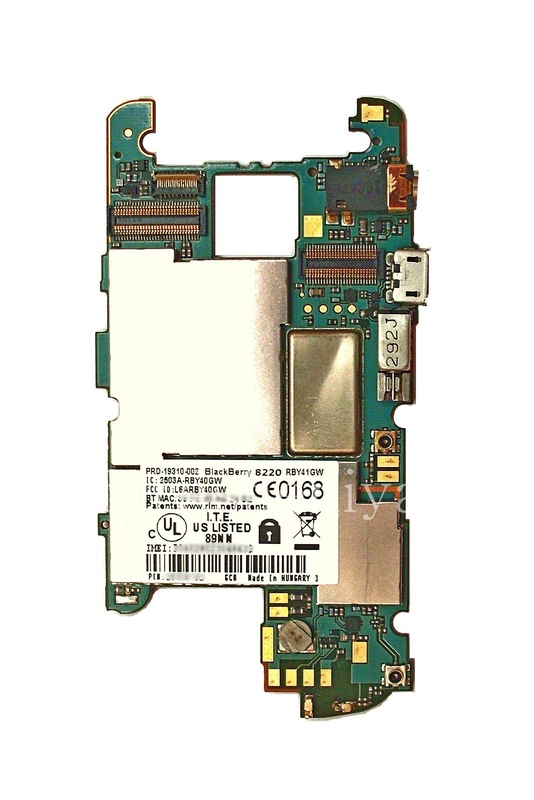 All of these components can not be replaced, and the only solution is to repair Replacing the motherboard. 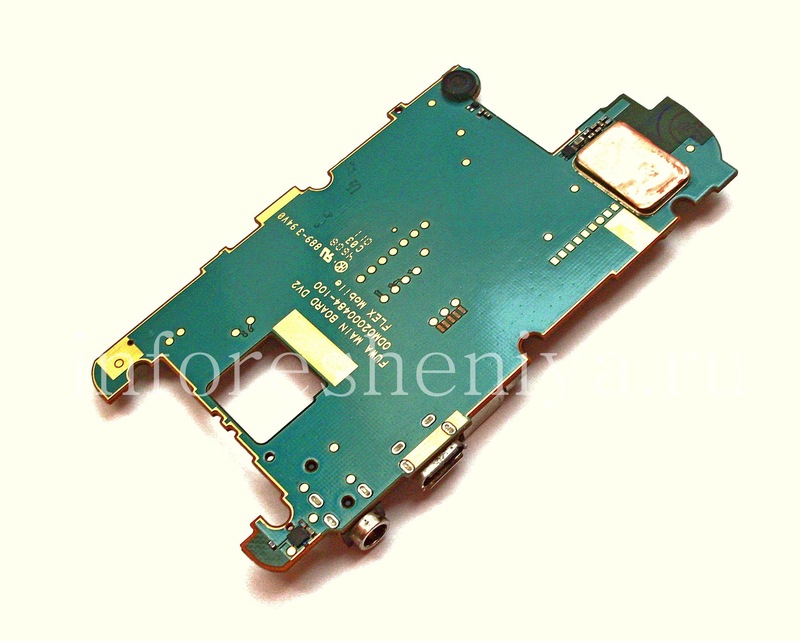 This is the original motherboard production BlackBerry, can be removed with a new or used-machine. We guarantee the performance of all functions, as well as services BlackBerry, including the BIS.